Available during the day for private events. Please call for details. Parking is available directly outside the entrance. Patio has now been expanded, wine dinners as well. Limited pickup catering is available, please contact the restaurant for details, at 614-791-8100. Two beautifully appointed private dining areas, one seating up to 24 and the other seating up to 36 are available. Cocktail parties available. Please call Vittorio at 614-791-8100. Easter Sunday dinner at 3pm. Ambiance was great. Food selection was good and quality was fabulous. I would highly recommend. My husband and I eat out most holidays. I wanted to go to the the Barn but had a friend who insisted on this place. We will never do the Easter brunch buffet here again. The pasta was soggy and I would expect a more impressive marinara from an Italian restaurant. The bacon looked like it had been swimming in grease and the French toast was a soggy disaster just like the pasta. It is always a delicious dinner and the service is the Best! Restaurant is lovely; however, we were seated in the back room. It is not as pretty as the main dining space. Would have preferred a different table. Service was good, but timing was a little slow - which could be the kitchen. We had the prosciutto and melon - a special. The prosciutto was wonderful, but melon was not ripe at all - they need to wait to later in the season. The special beet salad with crab was delicious. The gnocchi was really good - cooked perfectly with a San Marzano tomato sauce. The rigatoni bolognese was a little thin - needs more meat and better sauce. The homemade limoncello was excellent. Will go again, but may wait until summer. Food was delicious, surroundings beautiful and service impeccable. Would recommend bottle of wine versus a glass. Table placed next to bar playing music. 4 older adults could not hear conversation at table. Too loud!! We love this place but not conducive to conversation for a special occasion. We love bringing friends and family for an excellent dinner, interesting appetizers and classic Italian dishes, good wine list too. I love this restaurant as the service is always great and the food delicious! And the bread is irresistible! The noise level was quite high! Wonderful food everyone in our party enjoyed their meals. It was very family friendly. Our grandchildren enjoy having special celebrations at Vittorias. The Owner made us feel so welcome. The wait staff was outstanding. My wife and I went here for our anniversary. The food was amazing and we were treated like royalty. Vittorio and River were fantastic. Thank you for a great experience. Outstanding menu of superbly prepared Italian “haute cuisine “. Excellent wine selection. Very professional wait staff who discreetly appear only at the right moments (they also will “sell the menu”). This restaurant is great! I take my family, friends and business partners, because of the consistency and overall value. The owner is amazing and always takes time to talk with the family. Great experience. Food was excellent, service was spirited. The owner was onsite greeting everyone warmly. Need to return to try more menu offerings. Looking forward to our next visit. From the warm greeting you receive from Vittorio when you arrive, to the time you walk out the door --- it is a fabulous experience!! The food is outstanding, especially the braciole. Our server (Ritzi) was exceptional - she was attentive to our every need. I will be returning again soon! One of my friend suggested this place for a family get together and i truly liked this place and recommend to anyone. The restaurant is very nice. The service was excellent. The food was high quality. We were very pleased to dine there. These folks know how to make a meal special! We were celebrating my daughter’s birthday and it felt like family. 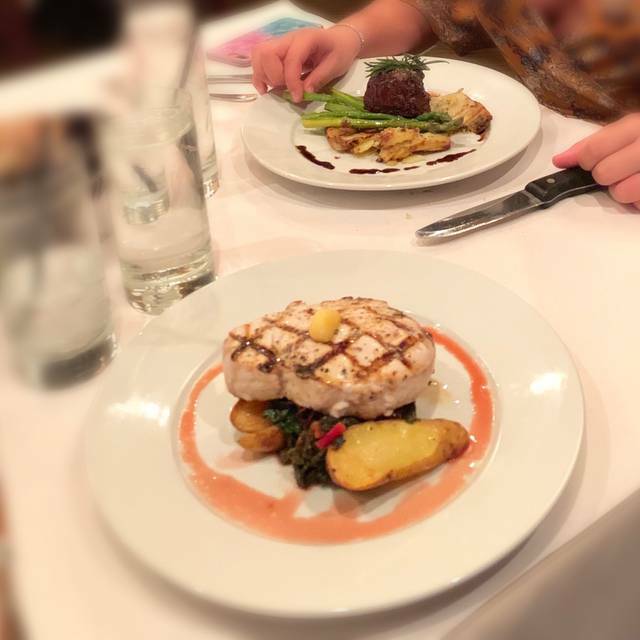 The food is always fresh, the service is immaculate (our server Jason is a total pro), and the atmosphere is upscale but comfortable. My only hesitancy is the pricing, which is probably competitive with the highest end restaurants in town, paying that much for pasta and red sauce can be a detractor. But we love the experience and we’re sure we’ll be back. We go to Vittoria a lot for a last minute dinner and usually get steak. Always pleased. But this last time was even better than usual. Love it! Fabulous ambiance, service and food! A perfect evening out! Best dining out experience we’ve had in a long time. 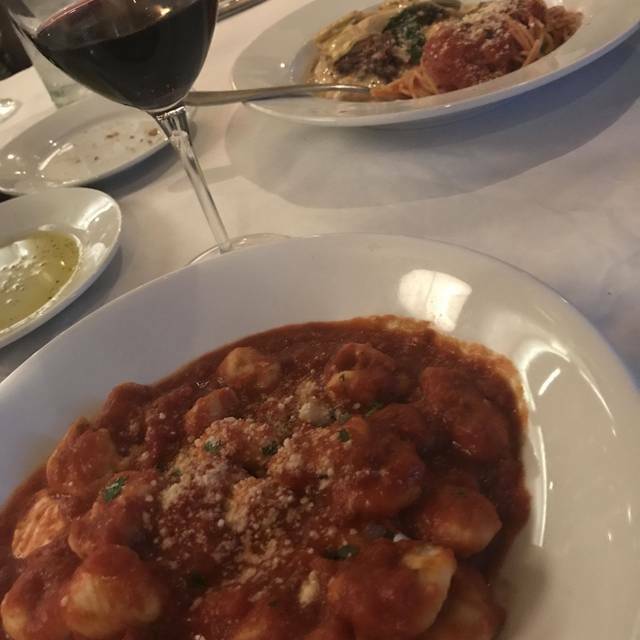 From the minute we walked through the door to the minute we left, we were made to feel like the most important people to ever dine at Vittoria’s. The food was outstanding and the atmosphere was very romantic (we sat by the fireplace). If you are lucky enough to try the burrata salad with English peas and pistachios, you won’t be sorry. We’re still talking about it three days later! The lasagna was some of the best I’ve ever had, and my husband thoroughly enjoyed the eggplant Parmesan. Even though we were stuffed, we got an order of the mini cannoli to share. OMG...soooo good!!! We can’t wait to go back!! Great evening. Good service. No issues! The restaurant is much bigger inside than it looks outside. Great ambiance and the food is great! The restaurant owner interacted with the customers and ensured their food was outstanding - he had a great presence throughout the restaurant! I would recommend this restaurant to my friends and family - you have to try it! Awesome date night! Wonderful atmosphere, outstanding service and awesome food! Ambiance was elegant and friendly but some of the food items were not well prepared. Fried calamari had a hard crunchy crust instead of light panko, and my veal piccata was over cooked and not tender. Tiramisu was excellent! The owner Vittoria was very friendly but the chef needs to step up his game. There were 4 at our table on a busy Friday night. The place was full, so reservations are advised. There were two fireplaces blazing, which created a cozy ambiance. The wait staff was extremely attentive, refilling our water glasses after 3 sips. The bar chatter and music spilled over into the dining area, so it was hard to hear others at the table at times. Food-wise, I was hoping for Fettuccini Alfredo, but it wasn’t on the menu. I asked our server if the chef would make some up for me, and s/he did! Always a nice touch when a restaurant can accommodate special requests. It was delicious, though not delivered as piping hot as I would have liked. The Eggplant was the favorite of one of our dining partners; she orders it regularly. The other two at the table had the Swordfish special, and it was very good. The bread and dipping oil was not as appealing as I’d remembered it to be. The bread was hard with lots of holes, so it crumbled easily. It may even have had flavorings added to it that competed with those in the dipping oil. A very positive experience overall. Most everyone who’s eaten there has only good things to say about it. Definitely worth a visit! Always awesome! We feel right at home here. Always great dining experience and Vittorio is the best!! As always, excellent. One of our favorites in town! This was our second visit and we'll be back again. Wonderful service!! A little noisy for my elderly father who is hard of hearing, but our server did her best to try to compensate so that he could hear her. Excellent service as always. We had Salmon and steak, both perfectly done. Vittoria and his staff make the dining experience perfection! Great neighborhood spot. Celebrated my wife's birthday. Great experience.